People often ask me where they can get GIS data to use for projects, analysis and general mapping. In the UK we now have OS OpenData, which is very nice and very detailed. There's also a new GIS portal from the Office for National Statistics - built using the Geoportal Server. 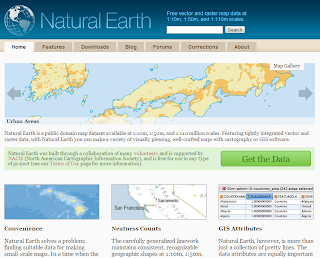 Other GIS datasets are available, from organisations like Natural England, but in this post I thought I'd highlight the excellent - and totally free - Natural Earth site which is very well known in the geodata community but perhaps not more widely. It really is absolutely fantastic. 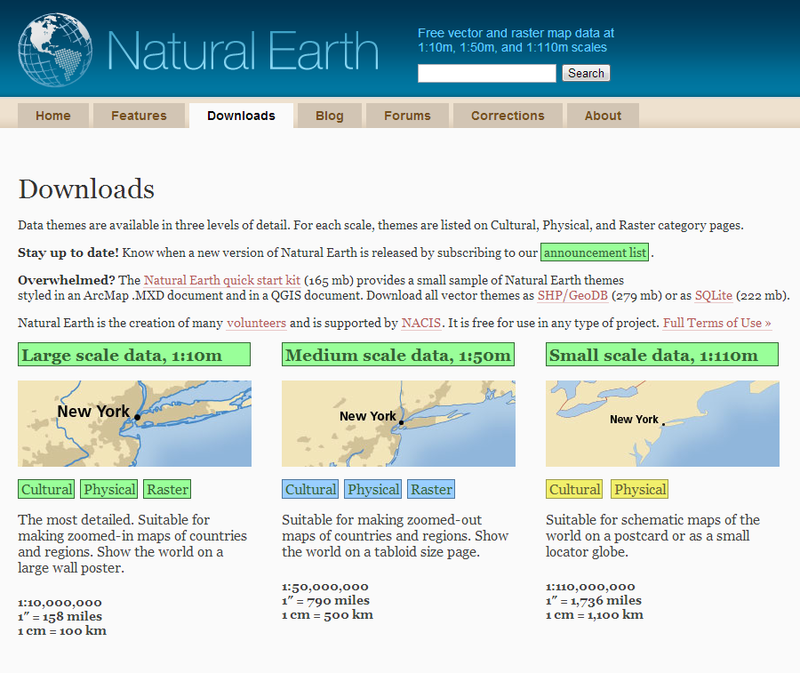 Natural Earth Vector comes in ESRI shapefile format, the de facto standard for vector geodata. Character encoding is Windows-1252. 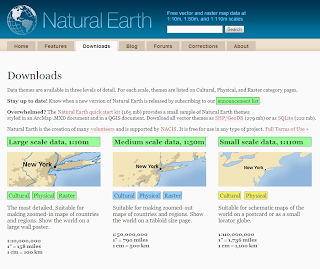 Natural Earth Raster comes in TIFF format with a TFW world file. 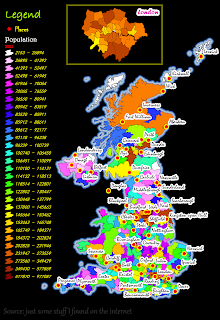 Finally, taking my inspiration from the worst website in the world, and Ken Field's blog - I've made an absolutely awful map using some of this data*. Can anyone do a worse one? *I actually did this as part of my work in developing some new GIS modules. I tried to pack in as much bad practice as possible just as an extreme example of what not to do. This short post is about the process of flow mapping in ArcGIS and not really about the end results - though the maps are quite interesting. I've done quite a bit of flow mapping in the past and am now getting ready to work on the next set of Census flow data in the UK (which should be out in November) so I've been experimenting with some tools. I've written about this in the past in papers in Computers, Environment and Urban Systems and also Environment and Planning B but those papers are a bit long-winded! Other people have produced beautiful flight path maps so I thought I'd experiment with the same data using the relatively new ArcGIS XY to Line tool in version 10.0 (it can be found in ArcToolbox - Data Management Tools - Features - XY to Line at the bottom of the list of tools). For more on other methods and previous iterations of this kind of thing take a look at the work of Nathan Yau, Michael Markieta or James Cheshire. For anyone wanting to map flows in ArcGIS, Michael Markieta's tutorial is probably a good place to start but be prepared for things to go awry in ArcGIS... When I mapped the 59,000 or so flight paths in the map above using XY to Line and one single dbf file (or csv, etc. - it makes no difference) the resulting shapefile only contained 16,066 rows. This happened every time I tried it and a couple of times my shapefile had only 73 rows. Another time it had ~14,000. That's why Markieta recommends splitting the file up - although I just cut it up into chunks of 16,000. Interestingly, I ran into exactly the same problem with my CEUS paper a few years back using Glennon's flow data model tool - though the limit was about 32,000 before it cut off. Once I had my complete shapefile I moved to QGIS, added in a world layer from Natural Earth and then experimented a little with symbology. I also experimented with different styles and projections to produce some of the maps below. That's all for now - I just hope ESRI are able to improve upon the current version of XY to Line because when it does work it is really fast (on my machine at least) and straightforward. And, yes, I know that flights from Australia or New Zealand typically go over the Pacific rather than the long way round! I'm just showing the XY to Line outputs as they are in this post. 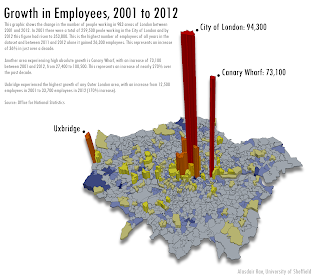 Massive absolute growth in the City of London and Canary Wharf - and some other central MSOAs in Camden, Southwark and Westminster, but also massive growth in employment in Uxbridge. The number of employees in the City of London increased by 36%, compared to 267% in Canary Wharf and 170% in an Uxbridge MSOA. By contrast, one part of Islington had 78,600 employees in 2001 but only 57,000 in 2012 - a drop of 27%. This area of Islington is immediately north of the City of London and includes Clerkenwell and Finsbury. 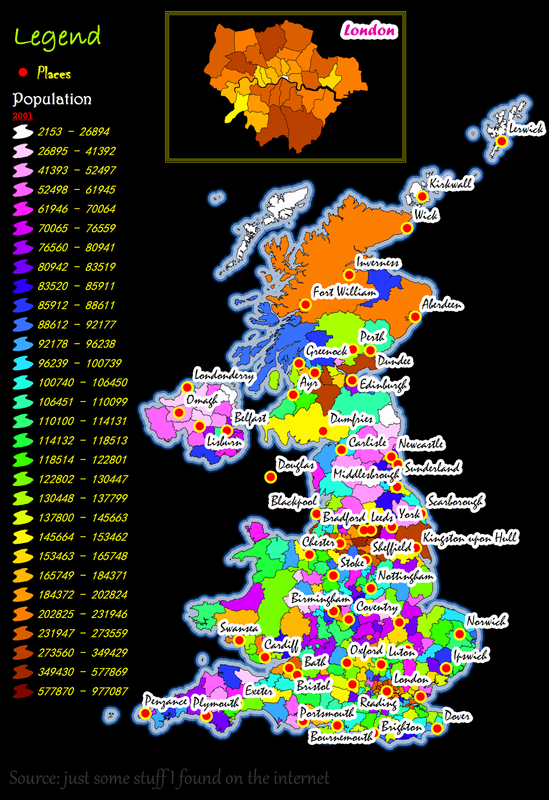 If you're interested in this kind of thing it's definitely worth looking at the original dataset.